You know you have a great puppy shampoo when it makes them feel so good that they actually ask for a bath! No…he has NEVER done this before. This shampoo does a great job balancing their PH so that they have balanced skin levels and NO MORE hot spots, which makes mama happy! 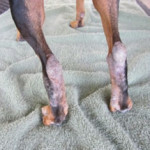 Cleo, a 5 year old Min Pin was diagnosed with environmentally related chronic severe dermatitis and had bitten, chewed and itched most of the hair off of her lower hind legs. 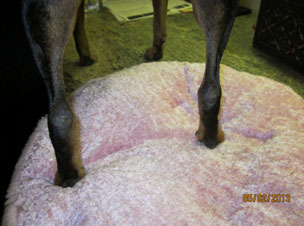 Her owner Ramona had tried oatmeal baths and eventually had to put her pup on Predinzone, a steroid treatment often used for allergy issues. 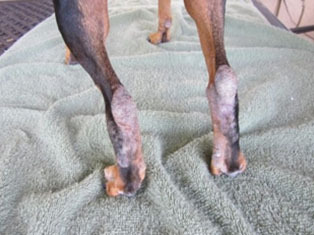 She used a regimen of Love Yer Dog Friendly Dog Wash 2 times a week along with Hot Spot and Wound Remedy once a day and slowly but surely Cleo’s skin issue began to improve. 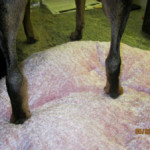 Do you have a great testimonial for Love Yer Dog? 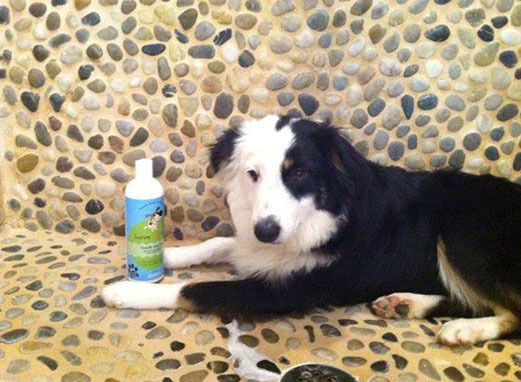 Contact us with your story and photos of your pup… You and your dog could win some free products from Love Yer Dog! It's super easy to join and receive email news and specials from Love Yer Dog!! Contact us for a quote before ordering.